Why should I try this course? The first step in teaching film and video is editing, and while virtually every teacher has at least access to a copy of Premiere Pro, for most teachers it is intimidating and confusing. The reality is that Premiere Pro is quite an intuitive program but it does require an understanding of why it is doing what it does. Programs such as iMovie or Movie maker seem more accessible because they don’t require this same understanding, however, they are also very limiting in what they actually allow you to do. Premiere Pro is an incredibly powerful tool that is very much an industry standard. This course will cover the fundamentals of video editing and how editing is responsible for the development of cinema. These fundamentals will then be applied to a range of activities that take teachers through the applications basic functions and even into some of its more advanced features. The course is very focussed on how students engage with program and provides a range of programming and teaching strategies to cover each stage whether is it a short unit or a dedicated subject. Teachers will walk away with the necessary skills and strategies for introducing Premiere Pro and the confidence to apply it in their teaching practice. - Introduce students to the history of Cinema. 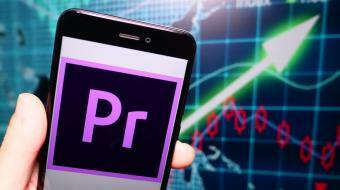 - Teach Adobe’s Premiere Pro to any age and stage. - Plan and deliver programs and lessons on Video Editing. - Lots of practical hands-on experience with all the equipment.